Those who have followed DJ Svoger through some time, knows that we splits our musical taste, into several and various mix tapes – to create different moods, for different occasions. Our monthly release, on the first day of each and every month, always represents the best current music around. Our ‘Rooftop Mixtapes*, often provide tracks with a lower BPM, as an alternative to the monthly mixtape, for more cosy settings and then there’s the groovy ‘Funky Friday Mixtapes’ which is more disco, soul and funk’ish, with dance friendly selections and recognizable tracks. Then there’s our oldest mixtape series, our ambient and chilled electronica selection, called ‘Sound of Sundays’, where we today have reached an anniversary, as we launch our tenth edition. The truth is, that these ‘Sound of Sunday’s mixtapes’ are the hardest to prepare of them all. Because It so hard difficult to find suitable quality tracks, and then with a lot of hard work, to create a good continuous flow and mix it all together nicely. Which we hope, that we just might have done once again. 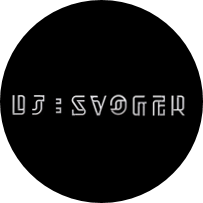 Please give it a shot and enjoy the more quiet and laid-back side of DJ Svoger – perhaps as a chilled soundtrack to your relaxed weekend.